Does your school offer after school enrichment options? We are extremely lucky – we have several options available to us including a theater program. Here is how it came about. What Do You Need to Start a Theater Program? What I love about our school is that we have such a strong community of parents who are bringing their own passions to share with all the children. One of our parents had a vision to share her love of theater. She found out that non-profit organization Starting Arts offers various programs to the schools around San Francisco Bay Area, and she managed to bring an after school theater program to our school. Of course, district had no budget to pay for this program. We consider ourselves lucky that the district offers our students one music lesson every week, after school choir program, and an after school band. Band and choir are practically free (they ask for $75 a year while providing amazing instruction in music theory, singing, and musical instrument practice) to every student who is interest in joining. 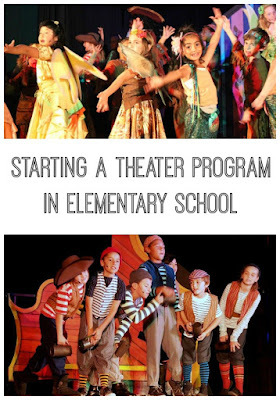 Theater program is partially subsidized through our Home and School Club. Sometimes we are somewhat annoyed by constant active and passive fund raisers, but organizers throw incredible energy into active fund raisers – our yearly Halloween Bash and walk-a-thon are organized and run by amazing parent volunteers who spend uncounted hours making these big events happen. I run big projects at work, and yet I tip my hands to ladies and gentlemen (yes, fathers help too!) who step in to organize these big events. Our fall theater program runs for 10 weeks and is open to students in grades 2 and up. Previously, kindergartners and first graders had a pre-show, but this year parent producers decided not to do it as it required too many people to “babysit” about 40 young kids during rehearsals. We usually have about 80 students join the program, which is about 25% of kids in grades 2 through 5. Everyone who comes for auditions gets to participate in the show. Why don’t we have more kids? Well, not every parent or kid is willing to sacrifice 2 hours a day twice a week for 9 weeks and then endure a very intense rehearsal week. Also, there is still cost involved – this year it was $175 per kid, which can add up if you have several budding actors. Home and School Club is offering “theater scholarships” to students if the cost of the program is a gate factor, but, of course, parents then need to ask for this help and I have a hunch that not all parents know that it’s available. Why Is Theater Program Great for Kids? Yes, Starting Arts and several other organizations in our area offer after school theater programs, but I see a big advantage in a theater program offered directly in school. For once, it’s a lot more convenient and makes the program accessible for working parents like us who don’t have time to chauffeur our kids to classes. More importantly, it promotes school team spirit. Kids across several grades practice together and perform as a team. They form new friendships that can last after the final curtain and they discover different talents in themselves and others. 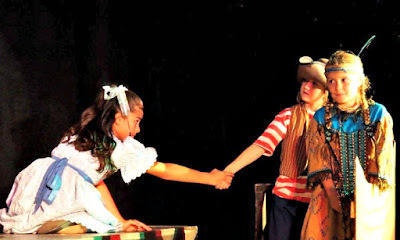 It was amazing, for example, to see one of Smarty’s classmates, usually a quiet and introverted girl, opening up with an amazing solo playing Tiger Lily in this year's Peter Pan production. Kids make a special “showcase” performance for an entire school and get to hear encouragement and compliments from their friends, their teachers and their principal. Also, kids get an understanding about how the theater production work and what it means to be an actor walking the line between learning the lines perfectly and improvising in acting. Who knows? Perhaps some of them will eventually go on into choosing performing art as their life journey, but I think that everyone will retain love of acting and might jump on other opportunities like this later in life. 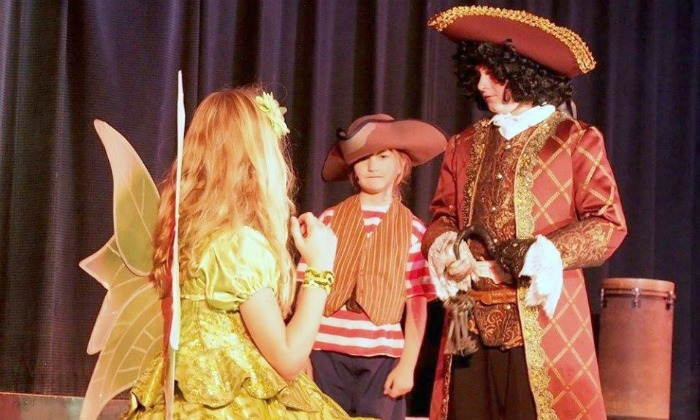 Have your kids had a chance to be a part of a play? NO big plays, but they've been in smaller productions. I've tried to get them interested, but they haven't been so far. All of my kids enjoyed drama after school last year and loved it. They decided to skip it this fall in order to have more free time (and because they were repeating the play they were in this summer), but I think drama is wonderful for kids.